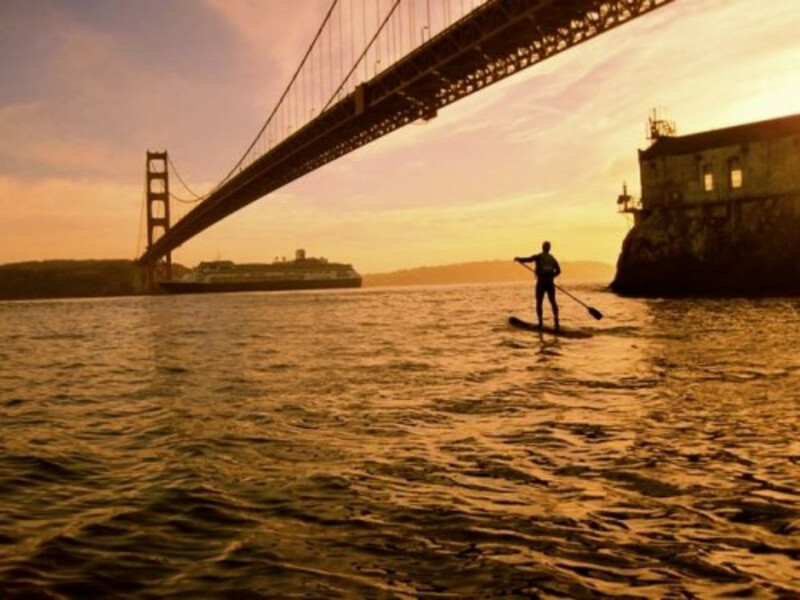 More than 30 years ago, Sea Trek started out as a kayak rental shop in Sausalito. But, as stand up paddleboarding (SUP) got more popular, the shop right on Richardson Bay began to offer standup boards along with kayaking. Why exactly did SUP get so popular? It’s not exactly clear, but Mitch Powers, lead instructor at Sea Trek and author of The Stand Up Paddleboard Instruction Book has some theories. 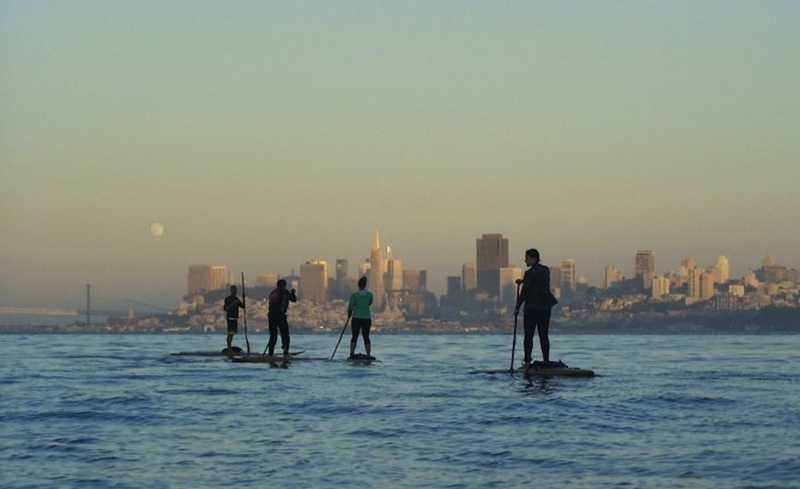 Instead, SUP offers a good workout, nice views of the water and you don’t even have to get wet if you don’t want to. Simply stand on the board – which is thicker and more stable than a traditional surfboard – and use a long paddle to get around. “Part of the allure is its simplicity,” say Powers. The hardest thing about SUP is maintaining your balance on the board. To get started, Sea Trek gives basic instruction when you rent the boards. Or, you can take a more in-depth two-hour class on instruction and technique. Sea Trek also offers kayaking classes. While most people want to get out on the board in their swimsuits and enjoy the sun, you can take out a neoprene jacket if you’re worried about falling off the board and into the cold water. Don’t worry, though. It’s not too hard to stay upright. “It’s easy to get started if it’s a calm day,” says Powers. 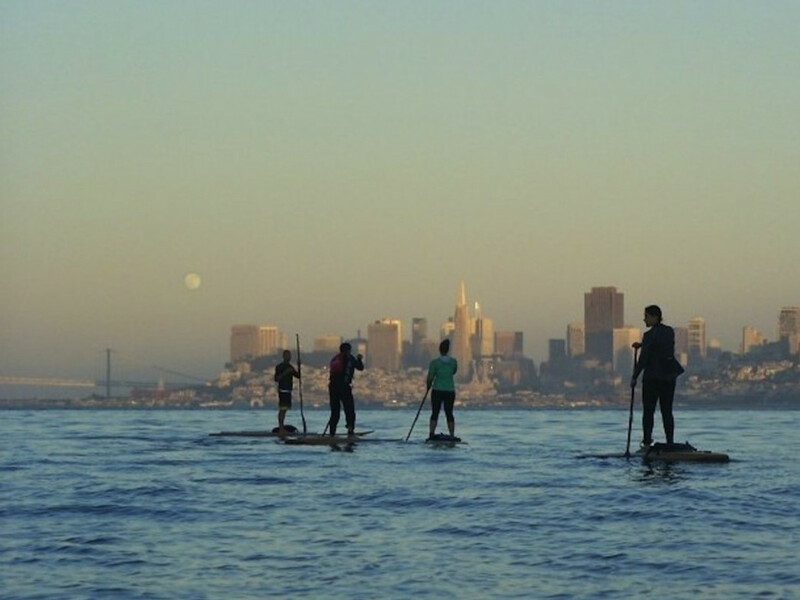 If you want to stand up paddleboard in the San Francisco Bay, head out in the morning. Wind on the bay picks up in the afternoon, which can create waves and make it more challenging to keep your balance. Sea Trek is right along Richardson Bay , offering some protection from the open bay, and you can even head inland up the Corte Madera Creek if the open water looks too challenging. Of course, if it’s sunny and calm on a weekend morning, expect that you won’t be the only person to have that idea. “If it’s calm and sunny and there’s no wind, we get a run on the paddleboards,” says Powers. 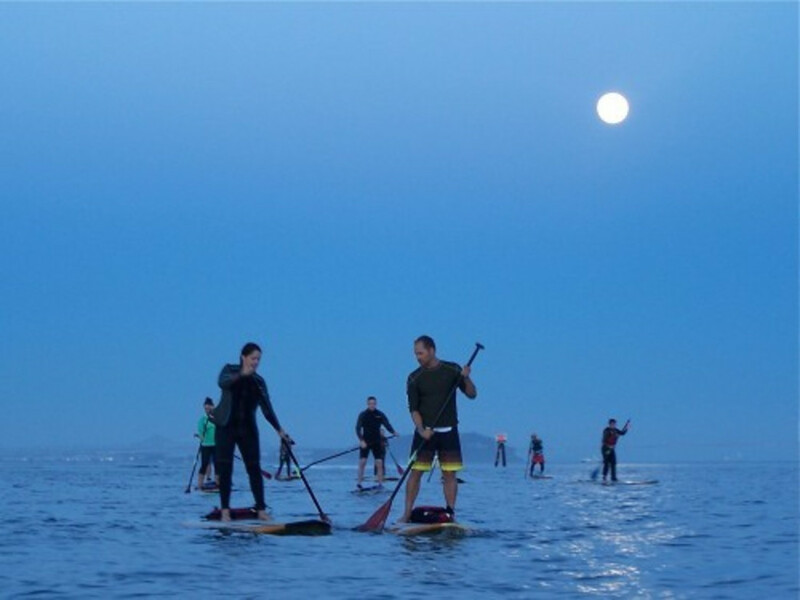 Sea Trek also offers guided trips, like sunset paddles, moonlit paddles, and excursions out to the Golden Gate Bridge. That sounds too mundane and easy? Try yoga on your SUP board.